Hayseed Dixie a self-styled Rockgrass band from the USA made their Flowerpot debut tonight in front of a sold out crowd. The group formed in 2001 and are well known for their covers of classic Rock songs done in a Bluegrass style. Their first album was a Hillbilly tribute to AC/DC. From time to time they have included some great original material on some of their albums but it is the covers that have made them a household name. The icing on the cake was when Jools Holland asked them to play his annual Hootenanny on New Year's Eve 2014 for BBC 2. Hells Bells, original song Kirby Hill and You Shook Me All Night Long opened a fast paced set sprinkled with jokes and some hilarious anecdotes in between songs. The lead singer, John Wheeler sounded like a Preacher at times spreading the gospel that is Rockgrass and encouraged the fans to join in including several times inviting the audience to raise their glasses and have a drink with the band. Highlights of the set were War, War Pigs, Eye Of The Tiger, Ace Of Spades, Bohemian Rhapsody/Paranoid medley Fat Bottomed Girls and a stunning Pour Some Sugar On Me. Of the original songs, the hilarious I'm Keeping Your Poop was the undisputed highlight. The set ended with a superb version of Duelling Banjos and Dixie's best-known cover, Highway To Hell. The encore unusually was a medley of different songs including Hotel California/ Careless Whisper/Rider and Comfortably Numb that worked really well. 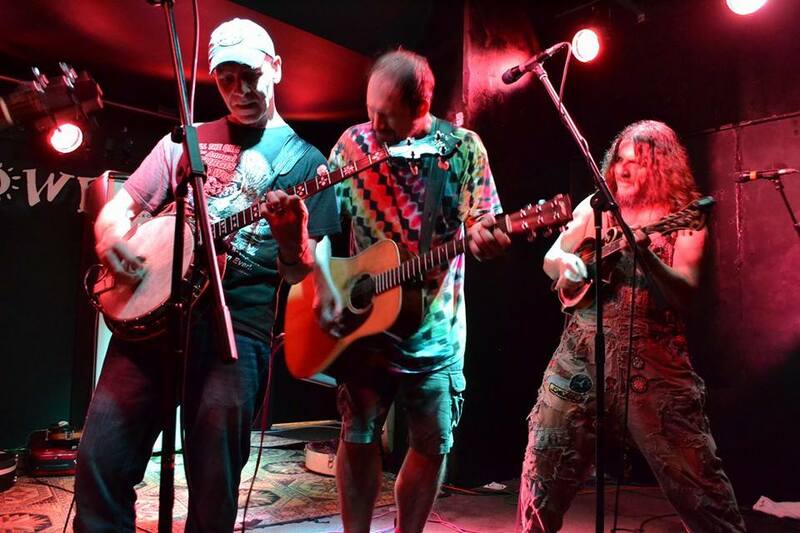 Hayseed Dixie are without doubt one of the funniest and most entertaining bands to have played at The Flowerpot and it would be great if they were to come back at some point in the future.